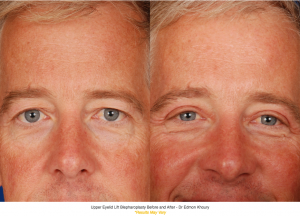 Eyelid lift surgery, or blepharoplasty, is one of the most popular plastic surgeries performed to this day. 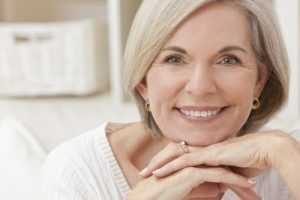 An eyelid lift can revitalize and shave years off of your appearance, but not all eyelid lift patients choose blepharoplasty for aesthetic reasons. At What Age Should I Consider Eyelid Lift Surgery? Most eyelid lift procedures, aesthetic and practical alike, are performed on people ages 40 and older. Dermatochalasis more commonly affects the elderly, but congenital dermatochalasis can begin developing in a person’s 20s. Your plastic surgeon will assess the state of your eyelids, and you can proceed from there. Every health insurance company has different policies regarding which benefits they do or do not cover in their plans. Dr. Khoury does not have contracts with insurance companies, but financing is available. Your insurance company may reimburse your surgery cost if you qualify for blepharoplasty coverage. You are likely to be a candidate for eyelid lift coverage if a physician has confirmed that your eyelids impair your vision. You can check what plastic surgery benefits your insurance company offers by contacting them for more information and seeing if you meet the requirements before undergoing any procedure. If you would like to learn more about blepharoplasty and whether this procedure is right for you, please schedule a consultation with Dr. Edmond Khoury by calling (720) 475-8400 or by filling out our contact form online. This entry was posted on Monday, July 24th, 2017 at 2:19 pm and is filed under Eyelift. You can follow any responses to this entry through the RSS 2.0 feed. Both comments and pings are currently closed. « Why Choose a Surgeon Who Offers Complimentary Consultations? Improving a specific area of the face is typically done because of a specific facial problem. 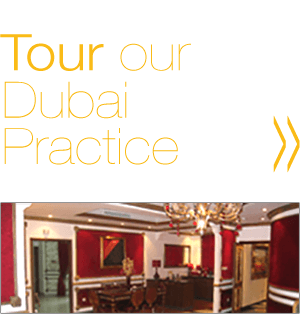 All procedures are tailored to fit the individual patient’s needs and desires. For many, a single procedure designed for a target area of correction will provide the youthful facial enhancement they desire. However, patients with more extensive aging will more likely have multiple trouble areas. Instead of undergoing multiple procedures separately, you may benefit from combining facial treatments into a single sitting. There is often a three to six week recovery period after most facial procedures. Patients who choose to undergo multiple procedures at different times will require multiple recovery periods. When you combine procedures, you only need to undergo this recovery period once, meaning you can take less time off work and less time away from activities. Due to the use of the laser in most of his procedures, the recovery time is reduced. While there are some costs associated with combining your procedures, you can avoid the extensive costs of repeat anesthesia and facility fees. 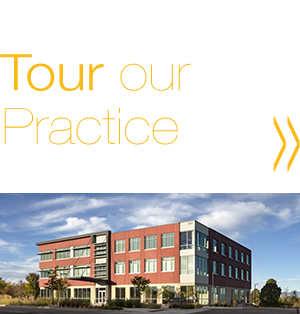 When combining procedures, you will only need to pay for the facility and anesthesia once rather than multiple fees each time you go for a new surgery. If you have extensive facial aging, undergoing a single procedure at a time may affect how you feel about the quality of your results. Your facelift might not look as good as you wanted because you still have heavy, hooded eyes. Rejuvenating your whole facial appearance in one sitting can help you feel more satisfied with your results. 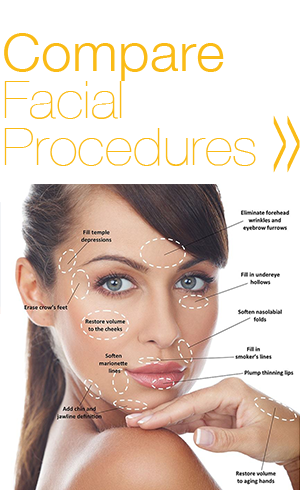 Facelift surgery is designed to correct excess sagging skin of the mid to lower face. Multiple facelift techniques are available depending on where drooping skin occurs and how extensive it is. Facelifts benefit patients who require firmer muscles and the removal of excess skin. However, it doesn’t provide any improvement to the upper face, brows, or eyelids. Eyelid lift surgery is designed to correct heavy, drooping upper eyelids or puffy lower eyelids that may be contributing to a constantly fatigued or angry expression. Drooping eyelids are frequently caused by the weakening of the tissue that comprises the eyelids. Eyelid lift surgery (upper, lower, or both) removes excess eyelid tissue or fat pads under the eyes that can cause puffiness. A neck lift can help create better definition between the neck and jawline as well as help restore a slimmer appearance. Many people fail to realize how significantly an undefined jawline and neck can age your appearance. The neck lift tightens the platysma muscle and removes excess skin to produce a slimmer, more toned appearance. Liposuction may also be used to provide better definition along the jawline and neck. If you are looking to reverse signs of aging or enhance your facial appearance, schedule your consultation with Dr. Khoury today. Dr. Khoury is a double board-certified plastic surgeon who specializes in facial plastic surgery. His friendly and helpful staff is available to answer any and all of your questions. Please contact us at 720-475-8400 or fill out our online contact form here for additional information. This entry was posted on Monday, March 7th, 2016 at 2:07 pm and is filed under Eyelift, Facelift, Neck Lift. You can follow any responses to this entry through the RSS 2.0 feed. Both comments and pings are currently closed.